Many of us have the goal to become debt free. This isn’t normally a problem, since debt is one of the biggest drains on wealth. If you have a lot of debt, you are paying interest to someone else, and you aren’t using your money to improve your situation. Getting rid of debt is a good thing. However, often we think that getting rid of debt also means canceling credit cards and closing the accounts. Before you cancel your credit card, it’s important to take a step back and consider whether or not it’s a wise idea to do so. Pay off your debt, yes, but don’t think that you have to close your credit card accounts. Savvy credit card use can be a help to you, as long as you pay off the balance each month. How Will It Impact Your Credit Score? Credit utilization: When you close a credit card account, you are immediately closing off a line of credit that can be used. Part of your score is how much debt you have relative to your available credit. Closing an account while you are still paying off your debt can have a big impact. Say you pay off one credit card that has a $2,000 limit. You still have another credit card with a $2,000 limit, but you owe $1,000 on it still. Paying off your first credit card puts your credit utilization at 25%, because you have $3,000 available out of a total credit availability of $4,000. That’s great. However, if you close your credit card account, all of a sudden your ratio changes. Now, you are at 50% because you no longer have that “extra” $2,000. Before you close an account you’ve paid off, consider its impact on your credit utilization. Credit history: Credit history doesn’t impact your score as much as credit utilization, but it still makes a difference. Your history includes an average “age” of all your accounts, as well as how long you have had your oldest account. If you close an older credit card account, your credit history suddenly looks shorter, and that can drag on your credit score. Even if you think you won’t borrow again, it’s still a good idea to pay attention to your credit score. There are other reasons, beyond borrowing, that people check your credit, and it’s important to have a good financial reputation. Before you decide that you don’t need a credit card, consider that there are some transactions that are just better with a credit card. The security protections of a credit card are often more stringent than a debit card. Additionally, with the credit card, the money isn’t coming right out of your checking account. You should find the credit card that best meets your needs and can help you reach your financial goals. Using a credit card for certain transactions can help you protect yourself and your information. Even though debit cards claim to come with similar protections, fraud reporting times to receive full protection are different between debit cards and credit cards. Additionally, when a fraudulent purchase is made with your credit card, it is easier to stop payment on it. With a debit card the money is taken out of your account instantly; it’s much harder to get the money back in the account, than it is to avoid having it taken out in the first place. If you are traveling, making purchases online, or are set up for recurring charges, it makes sense to use a credit card. You’ll be better protected, and may even have peace of mind. 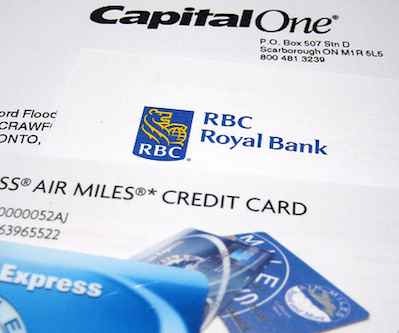 It may seem counter-intuitive, but credit cards can actually help with cash flow management. You can use credit cards for regular purchases, and then pay them off each month using money from your checking account. This method can be especially helpful if you have a variable income. You’ll have your bills covered when they are due, and then you can pay off the credit card when you are paid by your customers or clients. Before you cancel your credit card, consider how it can fit into your financial picture as a tool. Credit cards can help you maintain a good credit score, saving you money on interest over time, as well as provide you with smooth cash flow and purchase protections — not to mention the rewards you can earn with certain cards. As long as you can control your spending, and stay on top of things, your credit card can be useful. Consider that before you cancel. I just read your article about ‘canceling your credit card’. I think it would be advisable to add a disclaimer to the article that most references are only for U.S. citizens. For example, all cards referenced through the links are for U.S. cards. Also there is a reference to Credit Sesame. This is only for U.S. citizens. Thanks Lorne for pointing that out. Unfortunately we do not have similar service to Credit Sesame for Canadians, at least not right now. However the points raised apply to both Canadian and US citizens. Absolutely correct about the ratio of credit utilized to the high credit limit! The challenge for most people is to remain disciplined when it comes to sticking to a budget. Many people feel that the mere availability of credit too strong a temptation to resist.